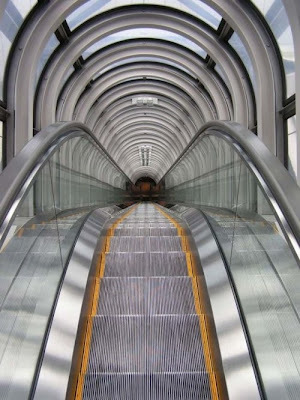 The escalator ride is an event in itself as it feels like you are floating up into the sky. 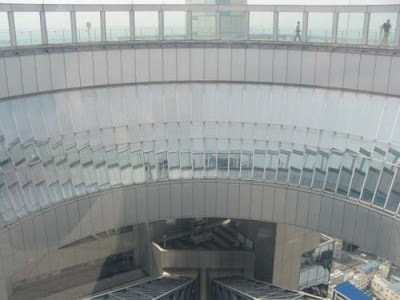 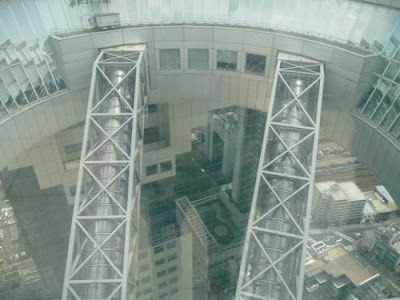 They lead to the observation area of the twin towers. 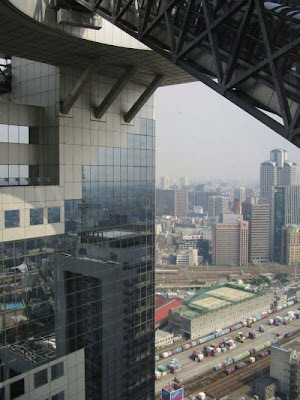 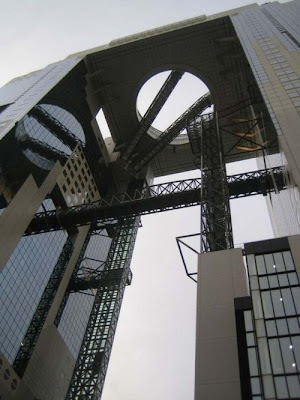 Located in the Umeda district of Kita-ku, the building was originally conceived in 1988 as the "City of Air" project, which planned to create four interconnected towers in northern Osaka. 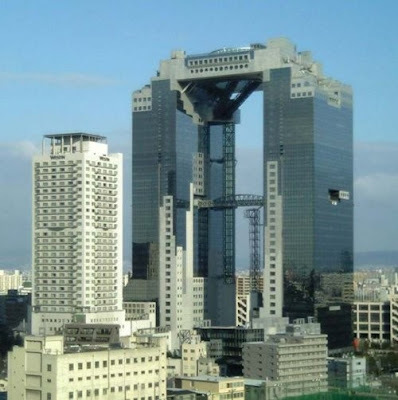 Eventually, practical considerations brought the number of towers down to two.